Last Friday marked the end of my Thirsty Friday series. Sad day. However, though the series is at an end, the excuse for a fancy drink is by no means lost. We are still able to get our hands on a selection of summery produce just waiting to be frozen, blended, and turned into something wonderful. Here is a compilation of all the refreshing recipes from this Summer. Don’t pack away your paper straws just yet! This Watermelon & Raspberry Lemon Slushie was definitely my favorite of all the Thirsty Friday recipes. I could easily drink 4.25 of these slushies without stopping if my brain was not so easily frozen. So. Good. I will happily become a true fan of Summer if I can have a constant supply of slushies. This Mango Rum & Mint Limeade Slushie whisked me away from my desk and overcrowded inbox, onto a perfect, 74 degree beach with sand that does not stick to you and a doughnut buffet. This Grapefruit & Jalapeño Spritzer was one of those recipes I thought of late at night when I was craving a glass of icy cold juice and a bowl of queso. Happily, the weirdness translated into a perfectly refreshing beverage with a surprising kick. Ah, this Peach & Basil Spritzer was an elegant taste of Summer. It was rich with the flavors of the south and faintly herbal. Total decadence happening here. This Toasted Coconut Fudge Malt was unreasonably indulgent, a characteristic I happen to love in drinkable desserts. I was obsessed with scraping the fudge off the inside of the glass. This Coffee Granita with Almond Milk was as refreshing in the morning as it was in the afternoon. I really, really, really like slushy coffee now. Hibiscus tea. I cannot stop drinking it. Maybe it's because of the color. For whatever reason, I love it, and this Plum & Hibiscus Cooler strikes a perfect balance between fruity and floral. This Muskmelon Frozen Lemonade was the first thing I made post wisdom teeth extraction. I wanted something classic, and frozen lemonade fit all the demands of my sore mouth. The muskmelon plays beautifully off of the tangy lemon. This Pina Colnada was definitely one of my favorite recipes. 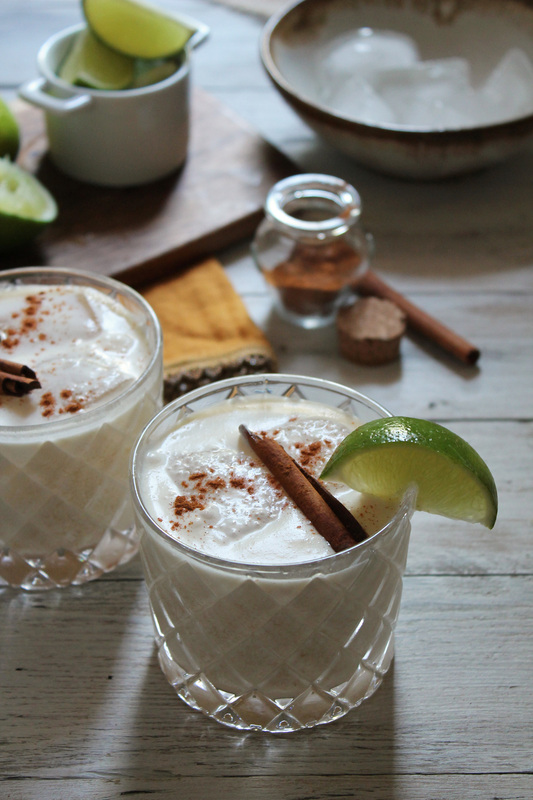 I loved the frothy creaminess and the combination of pineapple and cinnamon. Oh, and did I mention that you can pull this together in about 4.5 minutes? If you have never tried an Italian Soda before, this Orange Rosemary Italian Cream Soda is a great place to start. The combination of orange and rosemary is everything. 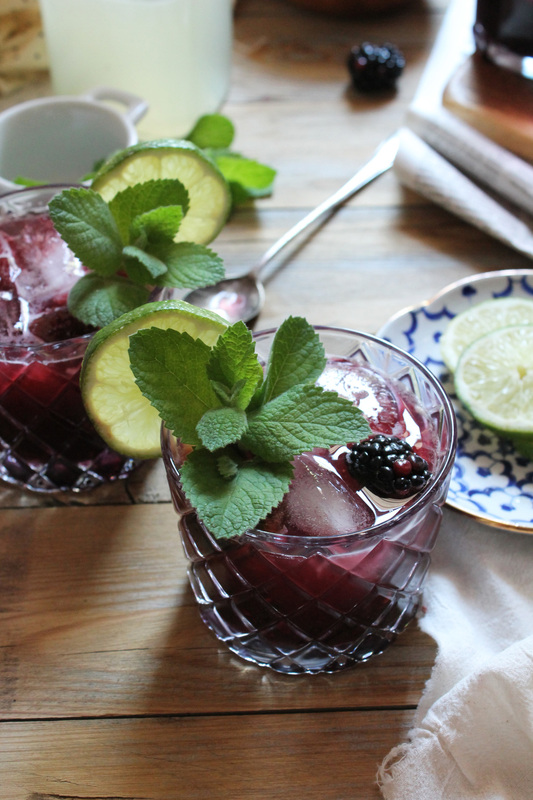 Limeade has always been refreshing, but this Blackberry Mint Limeade takes it to the next level. The sweetness of the berries is ever so slight and the mint only highlights the brightness of the lime. This Green Tea Summer Punch was the perfect last drink of the Summer. I really loved the combination of bright berries and earthy, green tea.